Young people across Huddersfield had the chance to learn about the world of coding and game design at two free workshops earlier this month. 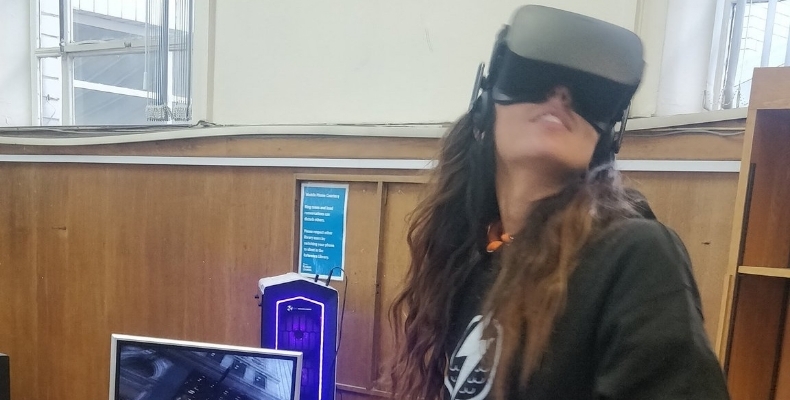 Around 30 budding game designers participated in the British Science Week event, gaining firsthand experience of the skills required in the digital economy. 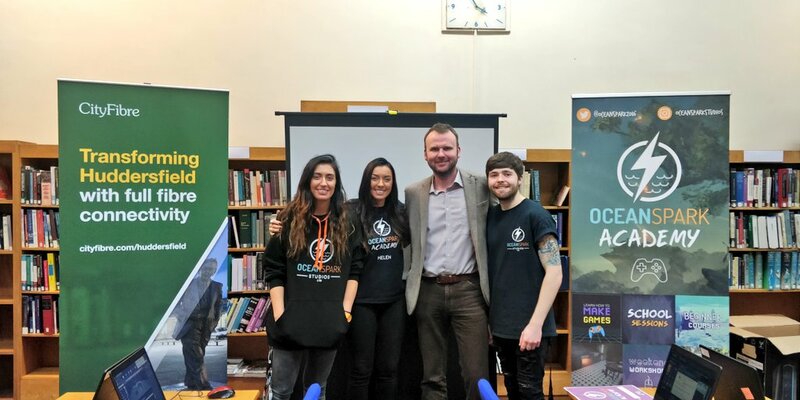 “We’re really pleased to be supporting this event and helping young people learn the skills they need to succeed in a digital world,” said Stephen Moore, a development manager at event sponsors, CityFibre. Participants learned how to use industry-standard software to create their own game, while trying out immersive gaming through virtual reality headsets, all under the tutelage of award-winning game developers, Ocean Spark Studios. Sessions were hosted by Huddersfield Library, thanks to Kirklees Council’s gigabit-capable full fibre network. Built by CityFibre in 2016, the network provides connectivity to 176 public sector sites and the town’s business population. Workshops were led by award-winning game developers, Ocean Spark Studios “We love being able to inspire the younger generation in our region to begin their journey into game development,” said Ocean Spark Studios director, Helen Andrzejowska.